Perched atop Mount Momoyama in the balmy seaside resort town of Atami, MOA Museum of Art houses iconic works by key figures in the international art world. A short trip out of Tokyo and into Shizuoka prefecture, MOA Museum is a modern, spacious and human space with a world-class collection, pristine gardens and a breath-taking view of Sagami Bay. Home to three National Treasures, 65 Important Cultural Properties and 46 Important Works of Art amongst the 3500 objects in the Museum were acquired by the businessman turned museum founder Okada Mokichi (1882-1955) in 1982. 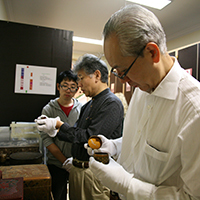 Dr Uchida Tokugo, Director of MOA and collaborator to the Institute’s research projects, tells us a bit about the museum’s history, future plans and why traditional craft is the best means of communication to promote art. The founder of MOA Museum, Okada Mokichi (1882-1955), was a successful businessman who went into commerce after poor health interrupted his nihonga study at the Tokyo School of Fine Art (precursor to the present day Tokyo University of the Arts). Despite his wealth he found in the jewellery trade, his personal difficulties following the death of his wife and children and challenges that the global economic crisis of 1929 posed led Okada to explore ways of delivering personal and spiritual wellness. He looked to art as a source of wellbeing. He believed that art could help cultivate public empathy and create harmonious communities. After the war and seeing the country ravaged by the conflict, Okada’s determination to position art at the heart of the nation’s reconstruction efforts grew stronger. Art, he felt, should not be an indulgence for the privileged, but should remain in the public domain. He believed that engaging with the people through art would contribute to Japan’s cultural development as well as individual betterment. An enthusiastic art collector, Okada first founded the Hakone Museum of Art in Kanagawa prefecture. Inspired, he had a parallel project: a more extensive museum to be built in Atami, another popular resort town, in Shizuoka prefecture. 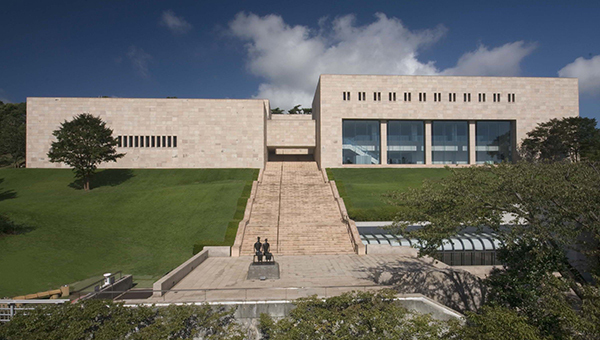 Although Okada was unable to see the completed museum in its his lifetime, MOA Museum of Art opened in 1982 to welcome visitors who came from near and afar to see some of the most beautiful and exquisite works of art. 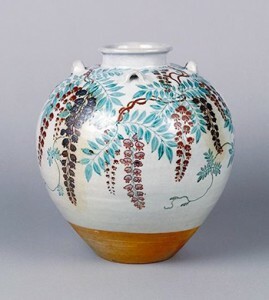 Okada’s collection is particularly famous for its large volume of Rimpa school artists’ works and ukiyo-e paintings. Okada was especially drawn to works by Ogata Kôrin　(1658-1716), one of the most prodigious Rimpa school painter and a lifelong inspiration to Okada, so much so that he adopted the name ‘Kôrindô’ as hisyagô or trade name when he entered the world of commerce. 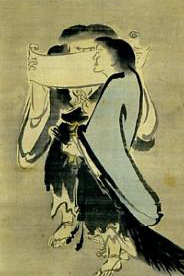 In 1907 he visited the revered scholar Okakura Tenshin in Itsuura in Ibaraki prefecture and passionately spoke of “safeguarding the legacy of Kôrin.” This enthusiasm led Okada to collect many of Kôrin’s outstanding works including the Red and White Plum Blossomfolding screens, considered to be among Kôrin’s greatest later works. For me, one of the joys of being the Director of MOA Museum of Art is to have the opportunities to engage with wider audience through unique and contemporary projects all the while preserving Okada’s vision. When the museum first opened, MOA’s fundamental raison d’être was to simply show art of outstanding quality through exhibitions. Thirty years on, museum practice has become much more sophisticated and so has the public’s interest. Museums, I believe, are an integral element of the social-cultural fabric and for this reason should take an active part in nurturing the community landscape whilst also preserving and interpreting our cultural heritage. These ideas are built into everything we do at MOA. Next year marks the 300th anniversary of Kôrin’s death, and to celebrate the legacy of the revered artist, MOA will host a special exhibition featuring two pairs of Kôrin’s most iconic masterpiece—the Iris gold folding screens and the Red and White Plum Blossomscreens. Kôrin’s work will be shown alongside pieces by contemporary artists including Sugimoto Hiroshi and Murakami Takashi to explore Korin’s influence not only in his period but across time and into the 21st century. I hope that this exhibition will help relate history with contemporary relevance and act as a catalyst for various communities to come together. My hope is that the museum continues to be a space where the people are inspired to be part of the artistic storymaking. To promote the idea of museums acting as a socio-cultural hotspot, I place a particular emphasise on the significance of traditional Japanese craft. Ever since the 19th century Japan has been an enthusiastic consumer of Western culture. Many regarded Westernisation as a path to modernisation. Japan did modernise and caught up with the West surprisingly quickly, but in the process has—perhaps—lost sight of the intrinsic essence of the Japanese culture. With this in mind I feel that Japanese art institutions, including MOA, have a responsibility to safeguard and disseminate traditional Japanese cultural practices. In the current post-modern world, the historicist notion of ‘returning to tradition’ is gaining strong public support. Many Asian countries and communities are rediscovering their traditional culture with pride. Traditional craft is an art form that can be appreciated for its many cultural layers. It illustrates the interaction of different craftsmen. It involves the appreciation of nature and what nature can provide. The resulting craft objects are appreciated not only for its intrinsic beauty but also as carefully curated assemblage that offers further complex reading. They are beautiful objects of incredible sophistication and delicately articulated interplay between form and function. Traditional craft art can act as an agency of social change. MOA and the Agency for Cultural Affairs have joined forces with the artistic community to deliver art programmes for victims of the 3.11 disaster in East Japan as part of the reconstruction effort. So far we have run craft art workshops in schools in the affected areas using natural materials and traditional techniques to create art. It was humbling to see the enthusiasm of young children and students, and to watch their transformation into confident individuals as they made things with their own hands. Perhaps I am overly optimistic but I do believe that traditional craft has the power to ‘craft’ culturally rich societies by connecting people, households and communities. Art is in fact used as an agent for social change. When one looks outside Japan, art is explored in innovative ways to find solutions to greater social concerns. For instance, UK educators found that by including art in the school curriculum has lead to an improvement in overall academic performance. The US reported encouraging evidences of art having a positive social impact in the areas of health and welfare. For example the Meet Me at MoMA programme run by the Museum of Modern Art showed beneficial effects for early stage dementia sufferers and their caregivers. A firm believer in unique creative use of art, I am delighted that our exhibitions for children and school programmes are also proving to be successful. I hope to continue developing and promoting a range of events and programmes that involve art and the audience in a wider context. With its new remit and mission, MOA aims to harness tradition in everyday life and play a stimulating role not only in the museum communities but in the local community of Atami city as well. Atami, with its abundant hot springs and temperate climate, located just 60 miles away from Tokyo which is a mere 45 minutes by train, has long been a popular tourist resort. 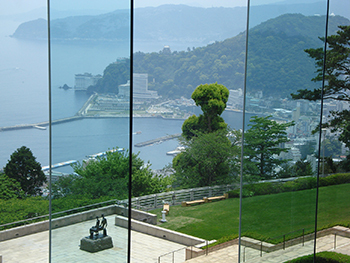 Okada was deeply fond of the city and decided to build the museum here in Atami in the belief that by combining the beautiful natural environment with his art collection, he could create a space for social harmony. Atami city has been an important partner in realising Okada’s dreams. I am particularly grateful for their support in fostering our thousand cherry tree project. Through a partnership between MOA and Atami city, a thousand cherry trees are being planted to transform the Japanese garden Zuiunkyô in the museum grounds. First conceived by Okada, the project revitalises the city by re-establishing links with the local people. I feel privileged to be involved with the project knowing that it will benefit so many people in so many ways over future generations. Another exciting collaboration between MOA and Atami city is the ‘Atami yuttari Art Festival’. A joint public and private sector initiative, the festival involves art at the centre of celebrating the dynamic community spirit of Atami. These events are of course rewarding to organise, but more importantly help the city and the museum build enduring and meaningful relationships with its people and visitors, including many from overseas. Museums have unlimited potential to play a positive, active role in their community and country. My role at MOA is to deliver a museum that provides social benefits beyond the immediate through exploration of Japan’s rich artistic heritage. In its third decade, MOA Museum is drawing up plans for exciting modernisation and redevelopment initiatives. As part of the plan, I look forward to creating new programmes to further engage our audience with new discoveries.